Over the past several years, a wealth of research has emerged pertaining to the myriad of benefits of step rate (AKA cadence) manipulation when addressing various running related injuries (RRIs) and lower extremity pain. The fundamental principle behind step rate manipulation is that by keeping running velocity/speed constant and taking more steps per minute, one is able to effectively reduce their stride length, and in turn the magnitude of each individual loading cycles at the expense of taking more loading cycles. This is readily apparent when stopping to consider the following equation. 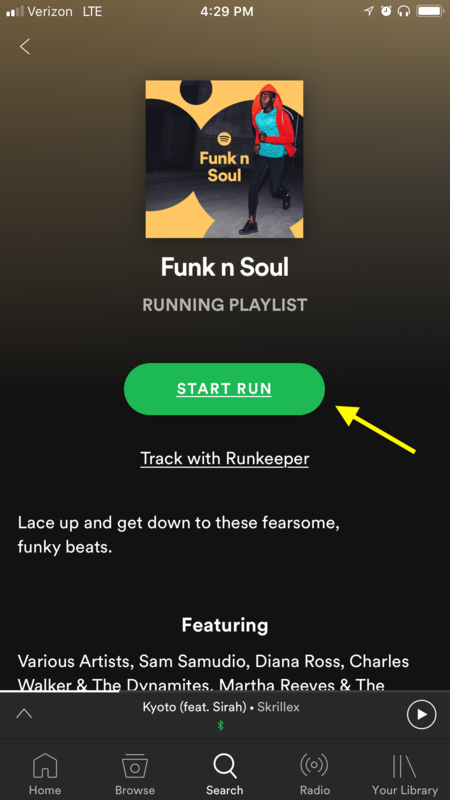 Furthermore, research shows that music serves as a great external auditory cue, especially for endurance athletes, as it results in spontaneous entrainment to the tempo or beat with a greater effect noted in women. 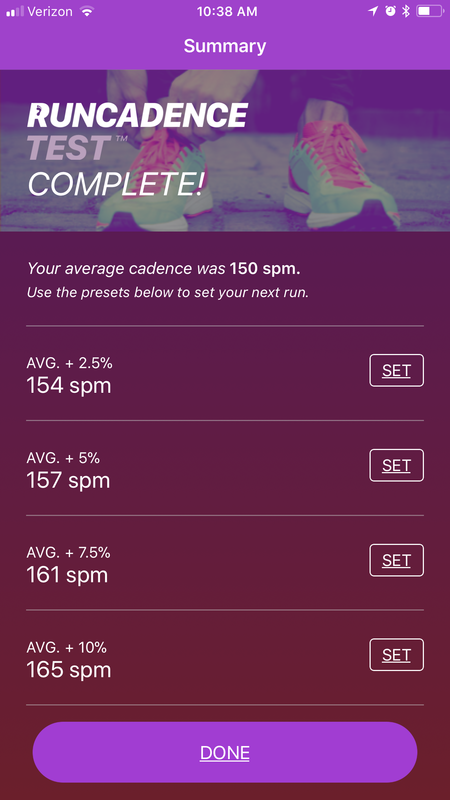 One approach to help you apply step rate manipulation to your running involves making use of the RunCadence and Spotify App. Below I will take you through how to use the combination of these Apps to reduce the magnitude of loading of each individual gait cycle if that is indeed the desired goal. Research has shown that as little as a five percent increase in step rate while keeping running velocity constant can reduce shock absorption at the level of the knee by upwards of 20 percent. That’s astronomical!!! It should be noted, however, that the information presented in this post should not suffice nor serve as a substitute for professional medical advice in the event you are dealing with pain and/or functional limitations. In such instances, we advise you to seek consultation with a trusted medical provider, who specializes in the rehabilitation of runners. The first item of business it to determine your step rate or cadence for a given running velocity. To do this, you will have to complete a one-minute test. We suggest conducting this on a treadmill to obtain the most accurate results provided that you are comfortable running on a rotating belt. 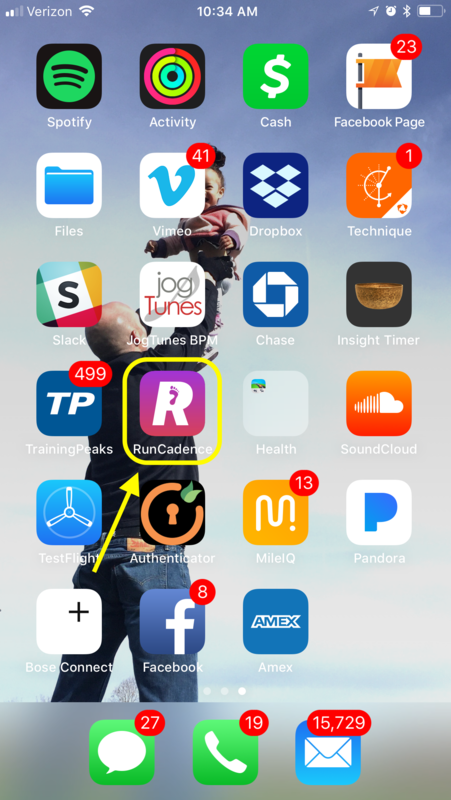 This is where the RunCadence app comes into play. Prior to completing the test we encourage folks to start with a 5′ brisk walk followed by a 6′ run to get familiarized with the treadmill. 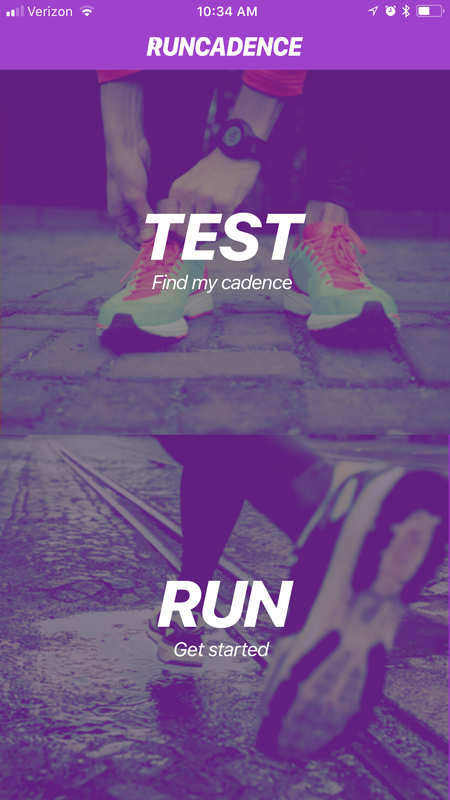 From there, stand on the runners of the treadmill and open up the RunCadence App (assuming it’s already been downloaded) on your smartphone and click “TEST.” You will be given a 5s countdown before the test officially starts though we encourage folks to start running once the countdown ensues to settle into your running gait. You will have to hold the phone in your hand for the duration of the test. 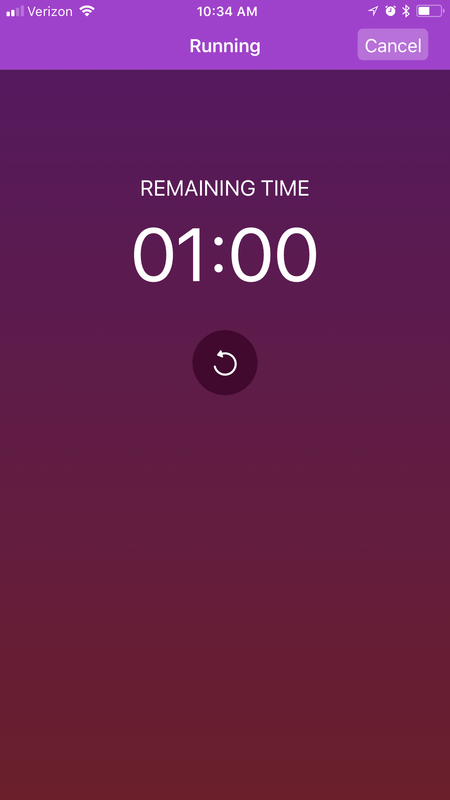 To avoid compromising the accuracy of the test, we encourage you to avoid looking at the timer on the App. 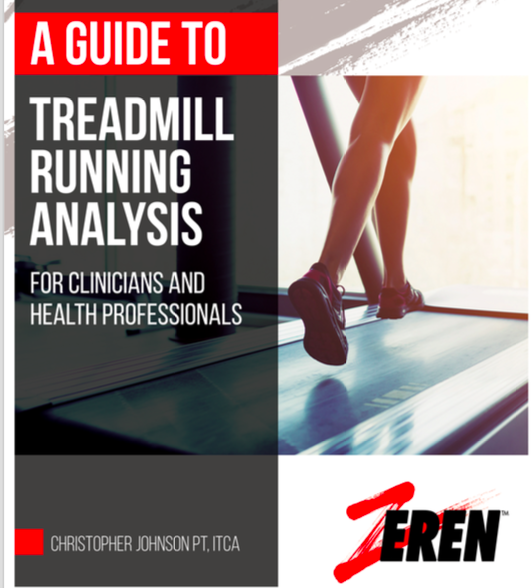 Rather, simply use the treadmill timer and make a note of when you start the test and plan for 70-75s of continuous running to ensure that you fully capture your foot contacts for the entire minute. 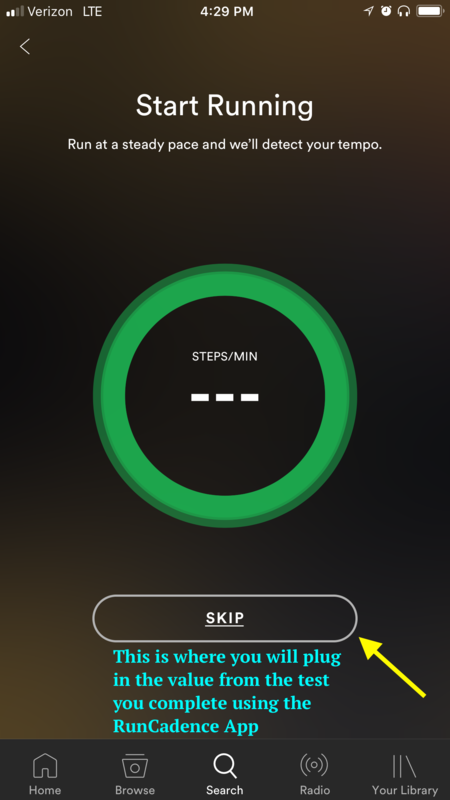 Once you have finished the one-minute test, this screen will appear which shows your average step rate as well as +2.5, +5, +7.5, and +10% above your avg step rate. 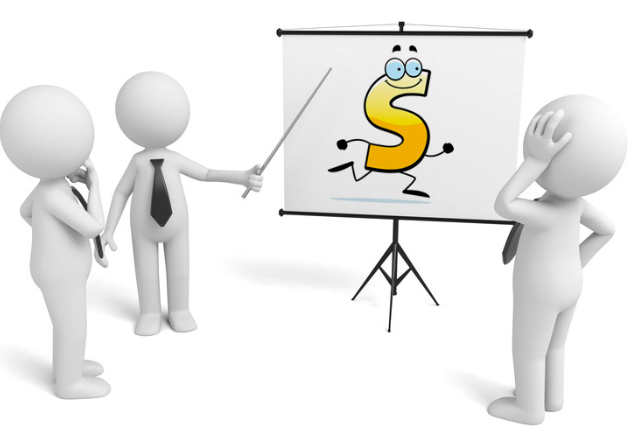 We generally recommend starting with +5% when it comes to gait retraining. 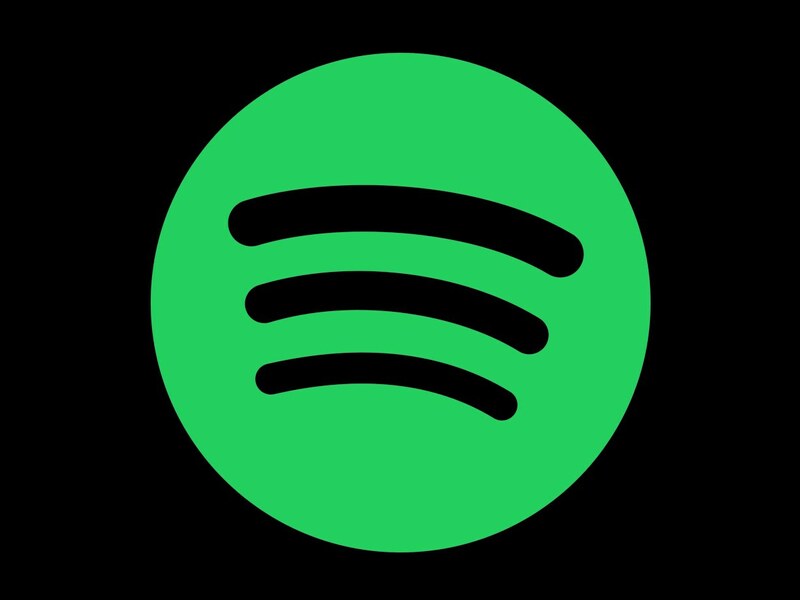 This is the value that you will plug in to the Spotify app when prompted. We’ll cover this in more detail below. In the event that you are able to readily adopt the +5% step rate, feel free to increase it to +7.5% if not +10%. While you can increase your step rate above 10%, apppreciate that doing so occurs at a great metabolic cost. 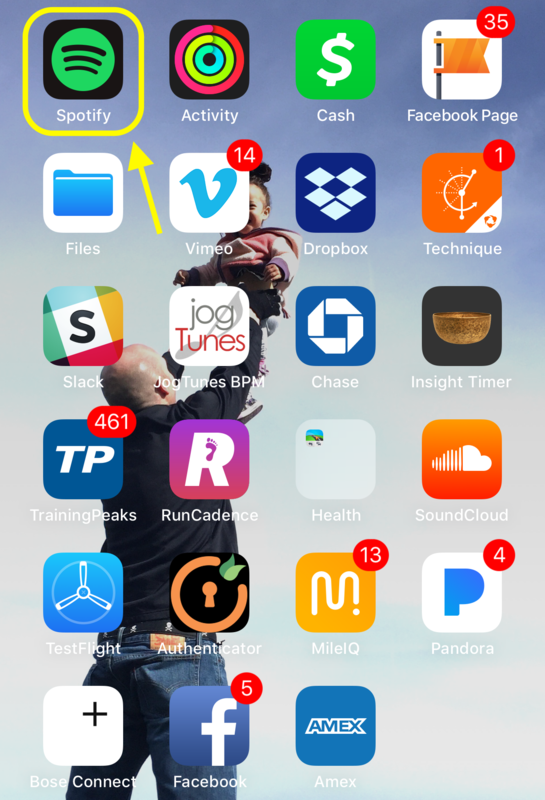 Once you have downloaded Spotify from the app store, simply tap the icon to open it. 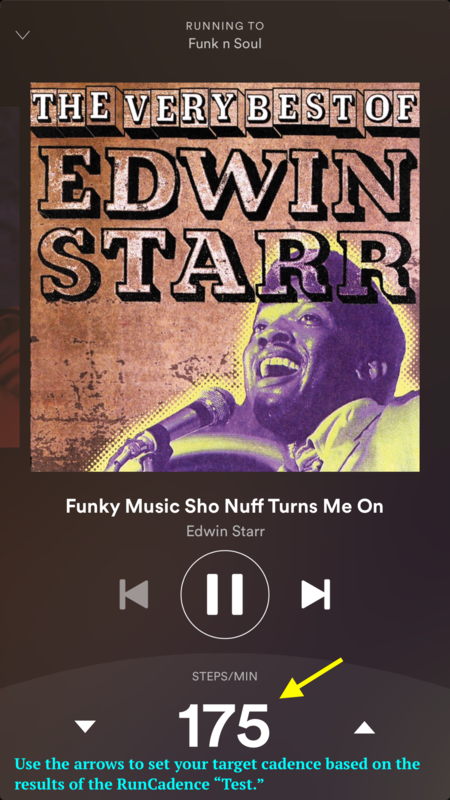 When the homescreen of the Spotify app appears, tap the search button centrally located at the bottom of the screen. In the searchbox, type in “running” then click the search button at the bottom of the screen. 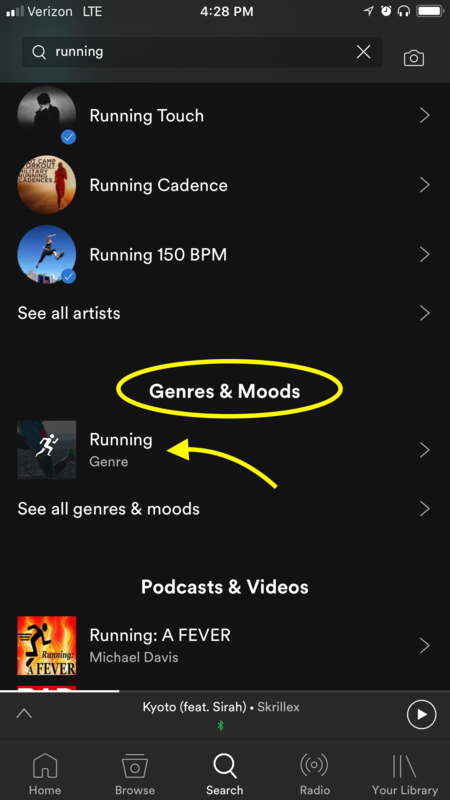 Scroll down until you see “Genres & Moods.” Tap the icon with the running man. 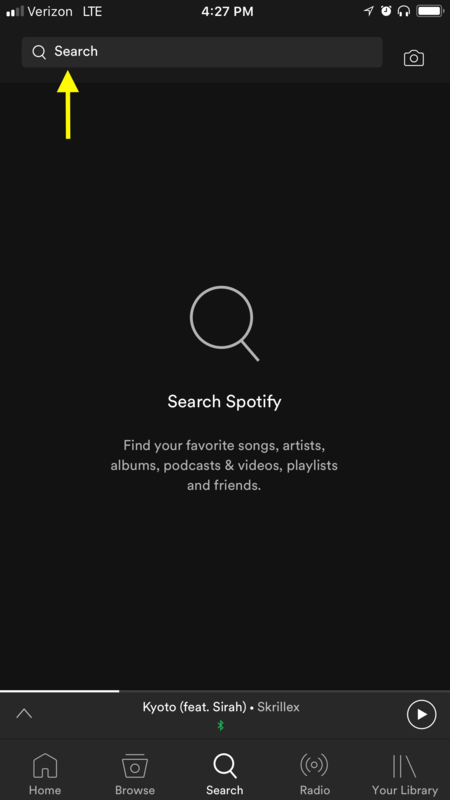 You will have the option to select various types of music so pick the one that suits your fancy 🙂 We often encourage folks to select a style of music with a distinct beat as it lends to better sychronization in terms of your foot contacts. 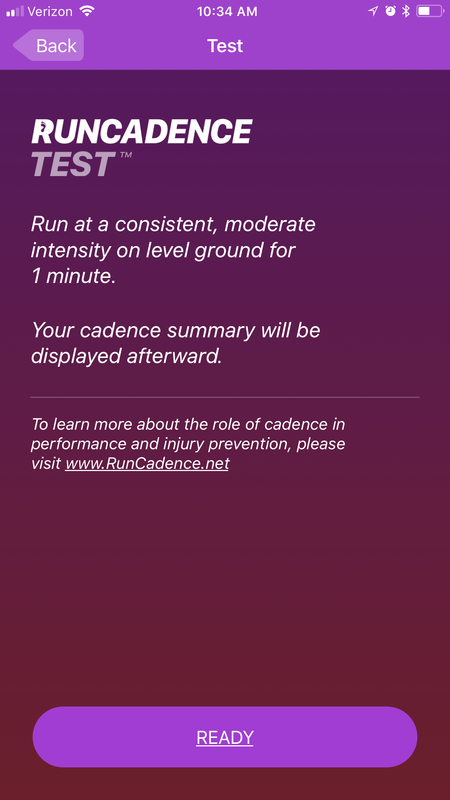 When you arrive at this screen and are prompted to start running, simply click the “skip” button at the bottom of the screeen and plug in the value obtained from using the RunCadence Test. Consider starting with the “+5%” value. You are ready to roll/run! 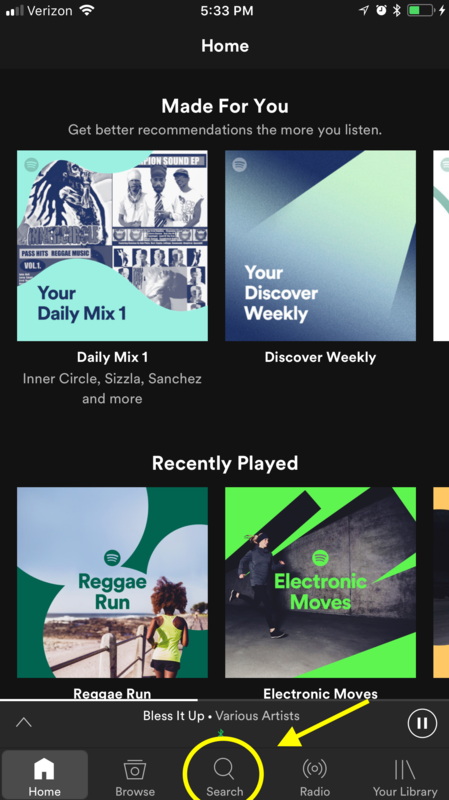 Aside from periodic advertisements, you will now have a continuous playlist based on the beat frequency you plugged in. Bear in mind that maintaining a consistent/steady step rate for a given running speed is most easily accomplished on level ground. Hills and softer surfaces may cause you to deviate from the target. Wishing you HAPPY, HEALTHY, & STRONG Training. Please reach out if you have any additional questions regarding how step rate can be applied to your training. Onward!!! 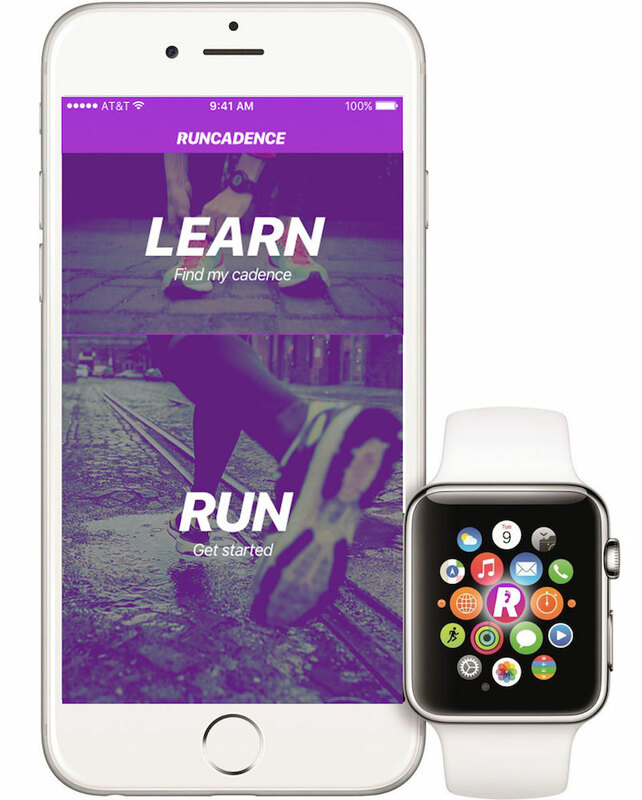 Disclosure: RunCadence is a for profit IOS App that I developed along with my good friend and business partner, Ben Wobker. It is currently priced at $2.99 and can be found on the App store. 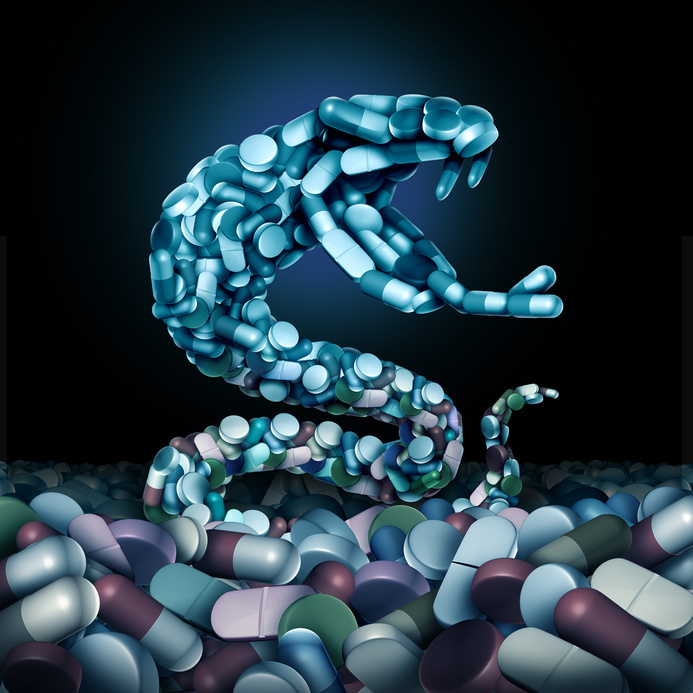 This represents a microcosm of our current state of affairs in relation to pain management and opioid addiction. The potential societal repercussions of this situation are disconcerting. Im hopeful we can do better!